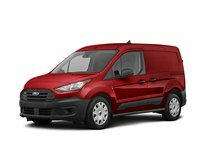 Looking for a Ford in Canada? and the Latest Rebates & Incentives. Ford is one of the largest North American automakers, with over $136 Billion in revenues in 2011. Henry Ford was the legendary founder of the company, being one of the most well-known individuals for his innovations. With over 100 years of history, the company is still controlled by the Ford family today. 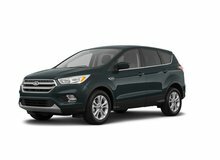 The current product line includes the Fiesta, Focus, Fusion, Mustang, Taurus, C-MAX, Edge, Flex, F-150, Escape, Explorer and the Expedition. 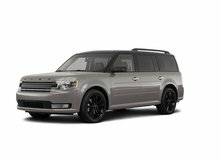 Ford also has a luxury line called Lincoln with a current line consisting of the MKS, MKZ, MKT, MKX, and Navigator. Ford was first introduced in Canada in 1904 with headquarters established in Oakville, Ontario as well as the assembly plant. In 1953, the Oakville manufacturing plant was opened and is currently producing the Edge, Flex, MKX, and the MKT. Since the 1960’s, the company had a strong involvement in motorsport, with participation in racing events, such as NASCAR, Formula One, and 24 Hours of Le Mans. Ford first won the 24 Hours of Lemans in 1966 with the GT40, the first ever American vehicle to do so and continued to win for four consecutive years until 1969. The Mustang is another successful vehicle to win numerous motorsport championships, such as the Rolex Koni Challenge in 2005 and the GT4 Championship in 2007. 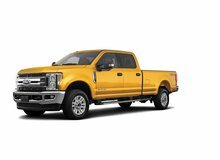 The Ford F-Series, in particular the F-150 was the best-selling vehicle in the North America for over 35 years. 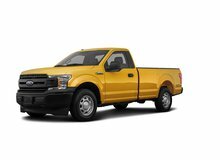 It also won numerous awards, such as the 2012 Motor Trend Truck of the Year, 2012 Best Retained Value Awards by Edmunds.com, and Truck of the Year from the Truckin’ Magazine. 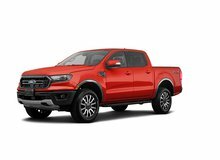 It has also been rated with the best towing capability in its class against other competitors, such as the Toyota Tundra, Ram Trucks, and Chevrolet Silverado. 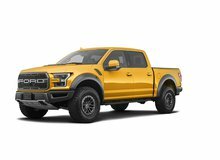 There are currently 10 different F-150 trims, including special edition trims, such as the SVT Raptor, Platinum edition, and the Harley Davidson. Along with 12 trims in a Super-Duty line, meant for more rugged purposes. Ford has always been a technological leader with over a thousand patents registered. 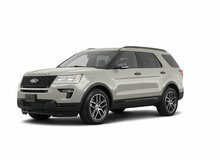 Noteworthy innovations include inflatable rear seat belts, a Blind Spot Information System (BLIS), and a hands-free lift gate. The company is also moving towards more environmentally friendly vehicles, with a focus on hybrid vehicles. A patent sharing agreement with Toyota was established in 2004 to allow for the sharing of hybrid technology. 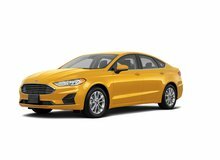 The current hybrid line includes the Fusion, Escape, and Focus. 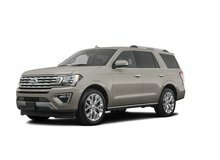 Another innovation is the EcoBoost engine, which allows for great fuel efficiency without sacrificing performance and is found in the F-150, Edge, Explorer, and Taurus. Unhaggle is not affiliated with or endorsed by Ford in any way nor does Unhaggle endorse any products, services, or websites that may be referred to in, or linked to, this site. All product names, trademarks, and trade names are the property of their respective owners. 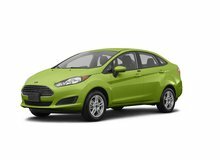 Discover the dealer cost, latest incentives, and see what others paid. It’s free and easy. 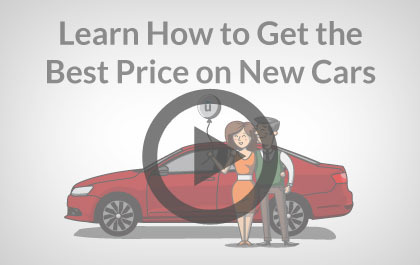 Negotiate smarter with our free price report, or let us get dealers to compete for your business! Buy from our national network of certified dealers that promise transparency with no surprises. Love Unhaggle! The process was so simple, it literally saved me weekends of negotiating! Susan F. saved $1,471 on her new VW Golf and skipped hours of haggling. Unhaggle saved me a huge amount of time by not having to run around to various dealers. Peter F. saved $2,875 on his new Toyota Tacoma without even leaving home. Unhaggle did all the hard work and got dealers competing to give me the best price. Vaidy K. saved $4,048 on his new Toyota Sienna and bought with confidence.